Think of the classic UK lawnmower brands and the Webb range of cylinder mowers should come near the top of your list. While the Webb electric cylinder mowers are less expensive than their petrol equivalents, they are still a good-quality, providing very good performance and enabling you to create a beautiful level, striped lawn. What's more, these electric lawnmowers are quieter than those driven by petrol engines. 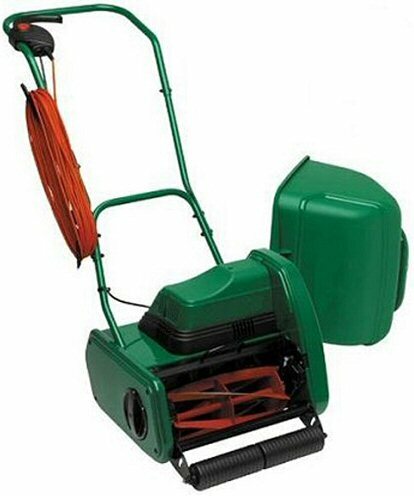 The lawnmower is supplied as standard with a 5-blade cassette. We offer 10-blade cassette & scarifier cassettes as optional extras. The Webb 'Quick Cartridge' system enables you to remove the cutting blades quickly and easily as a complete cassette. 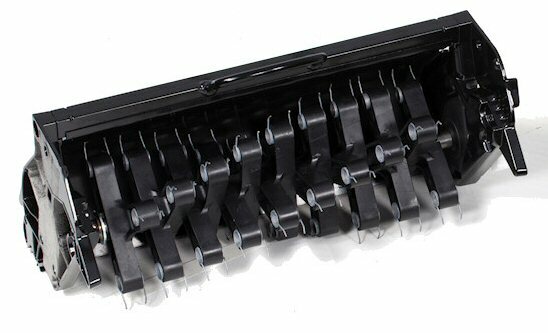 You can then have the blades sharpened or simply replace them with a new blade cassette, making maintenance of your cylinder mower much easier. Another advantage of the QC system is the versatility it offers. The cutting blade cassette can be removed and replaced by the QC lawn scarifier cassette which converts the lawn mower into a powered raker, helping you to clear your lawn of moss and other debris, allowing it to breathe and promoting healthy growth.